NOHrD WallBars’ unparalleled feature: the foldout function. 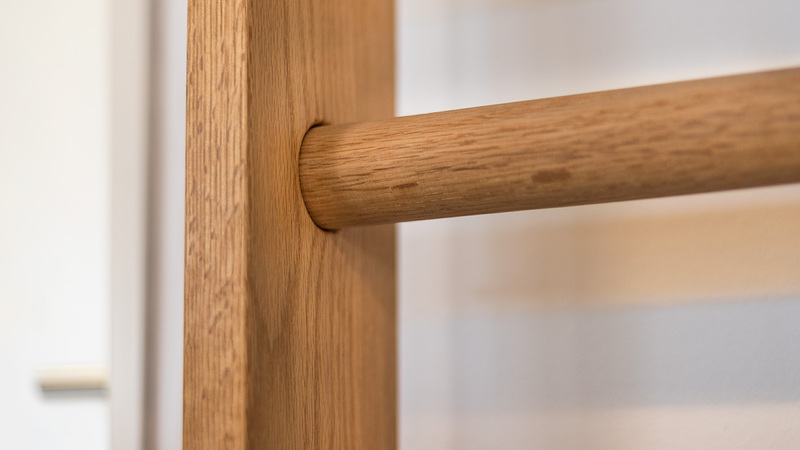 NOHrD WallBars are manufactured in solid ash, oak, cherry and walnut wood. 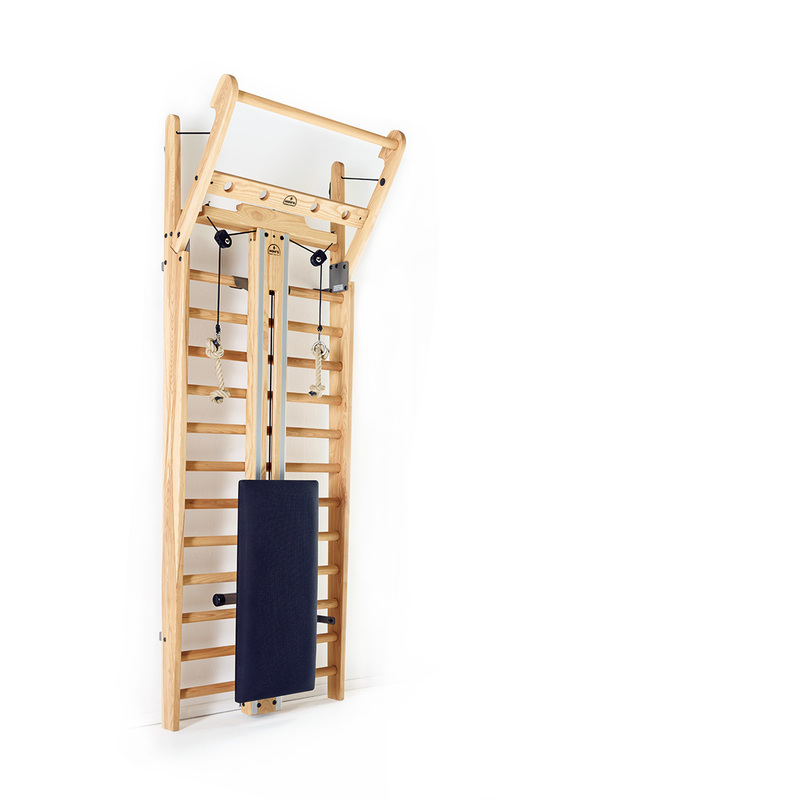 Convert your WallBars into a multi-functional exercise training station with additional accessories. The CombiTrainer considerably extends the range of exercise possibilities on the WallBars - using bodyweight resistance only. The MultiAdapter is a single piece accessory with two functions. Classic exercises with a workout bench - whether used for sit-ups or free-weight training: simply hang into the rung of your choice. The CombiTrainer effectively works all muscle groups thanks to variable sitting and prone positions. 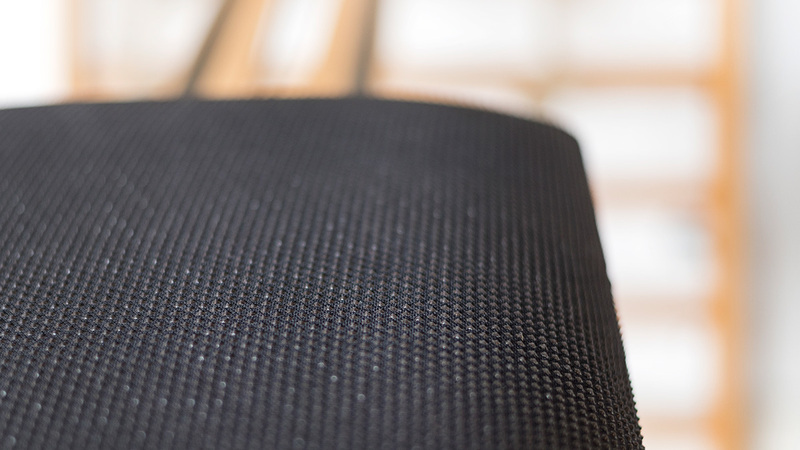 The CombiTrainer’s bench is upholstered with a special, nub fabric to prevent slipping and guarantee a strong hold during exercise. 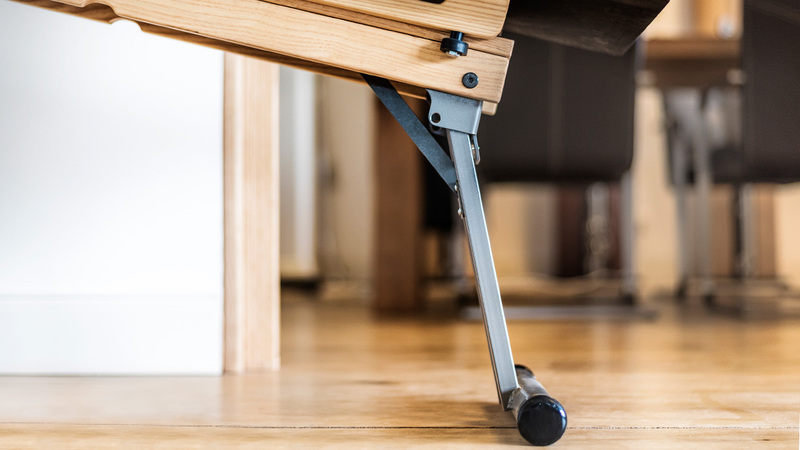 The CombiTrainer holds strong and sturdy thanks to its fold-out foot stand. 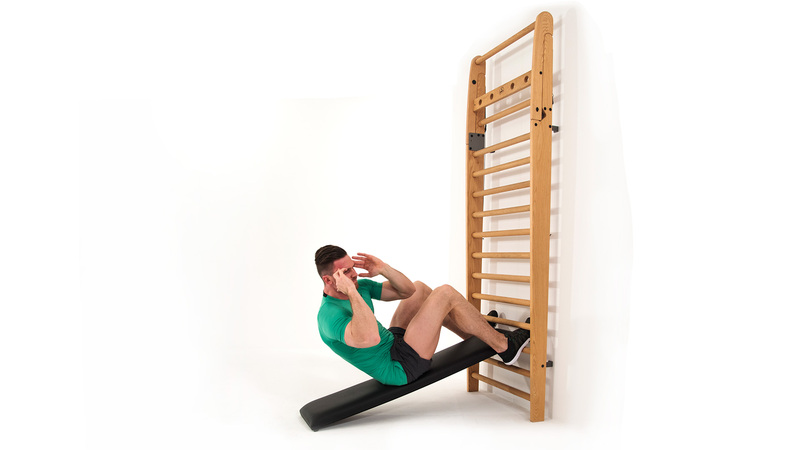 Simply hook the CombiTrainer into the rung of your choice for a variety of angles to exercise at. The CombiTrainer is made of solid wood. The cable ropes can be gripped easily and the CombiTrainer can be hung into the WallBars after your workout for storage. The guide rollers of the CombiTrainer bench surface glide quietly along the rails, providing excellent support. No weights to adjust- train using body resistance only. 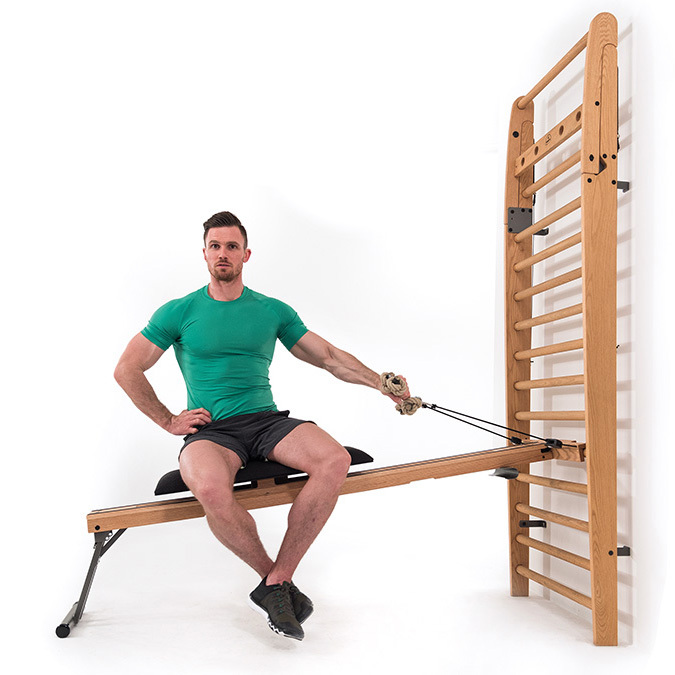 The MultiAdapter is an ideal accessory, developed from a simple, basic idea and providing a whole range of new exercises. 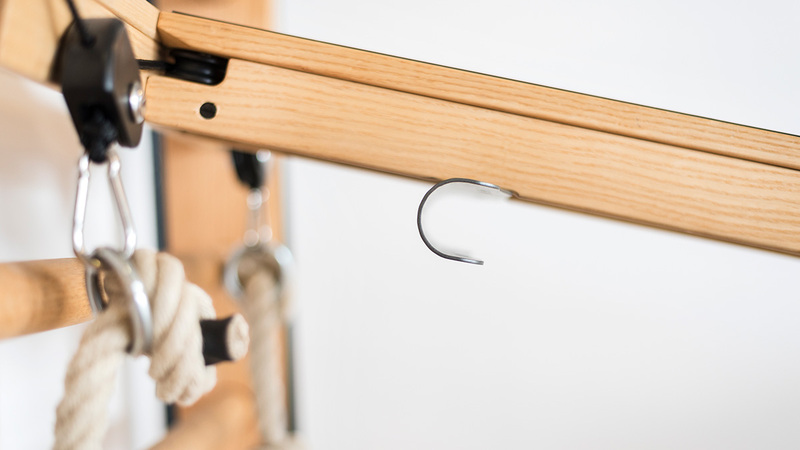 Hook into any rung for use the handlebars for triceps dips or turn over for the horizontal bar to fold out. Both options will let you add specific exercises to complete your workout. The MultiAdapter is made of high grade wood and solid metal, ensuring our renowned quality and precision workmanship. Strong hold and guaranteed stability. 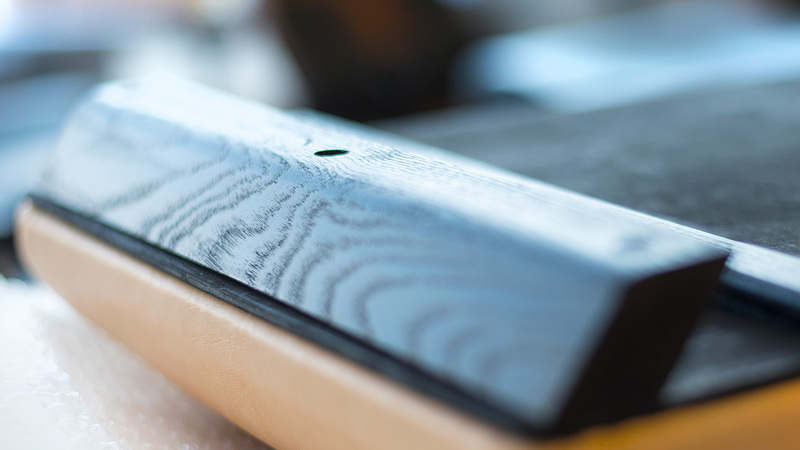 The natural wood grain provides a comfortable, safe grip. Sophisticated, eye-catching design - this combination of wood and metal will fit any interior environment. 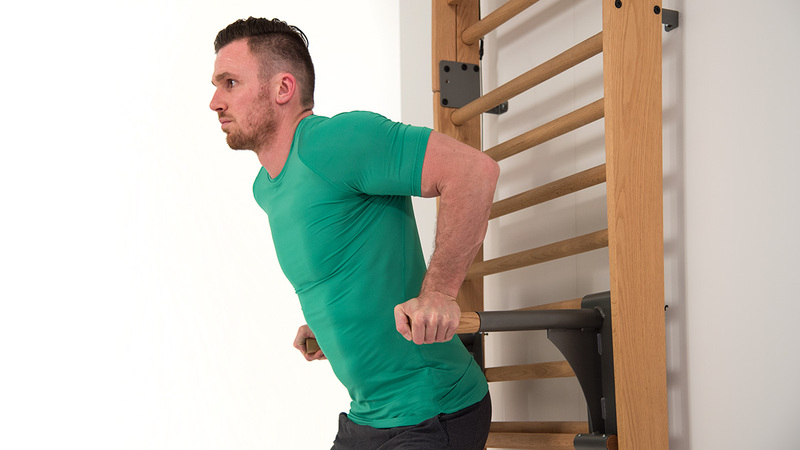 More than just an attractive design: Train with on the MultiAdapter for a whole range of further, specific exercises targeting all muscle groups. Simply hang into the rung of your choice. The WallBars bench is a workout bench and back support in one. 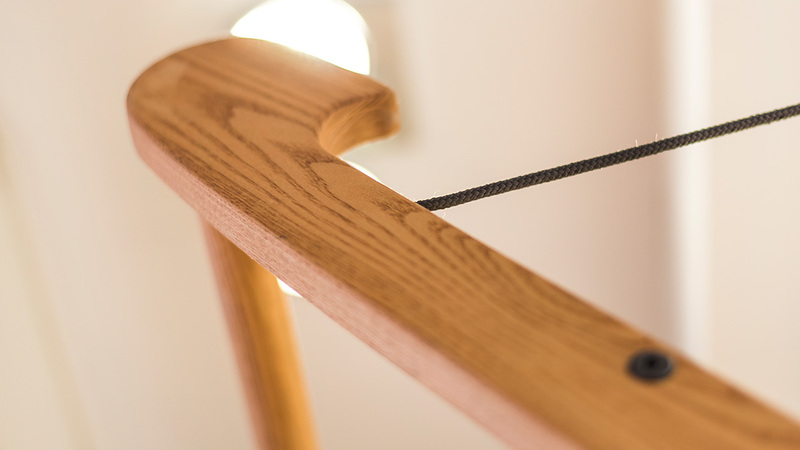 By hanging the bench into various rungs, you will expand your exercise routine. Simply store this sleek accessory directly onto the WallBars, post workout. 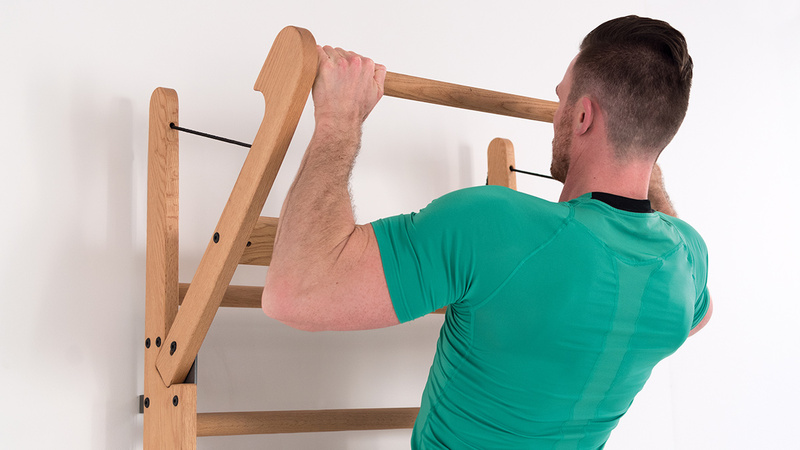 Not only a useful workout accessory - the WallBars bench can be hung directly into the rungs for easy storage. 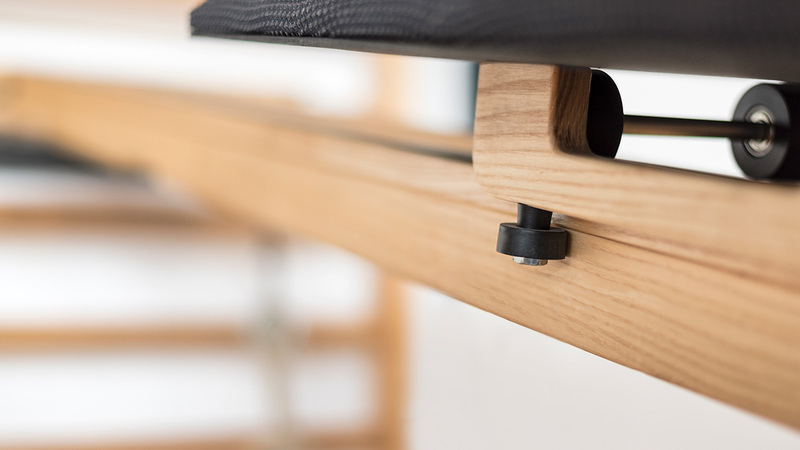 Solid wood and hard-wearing leather: the workout bench is a perfect combination of these two materials. 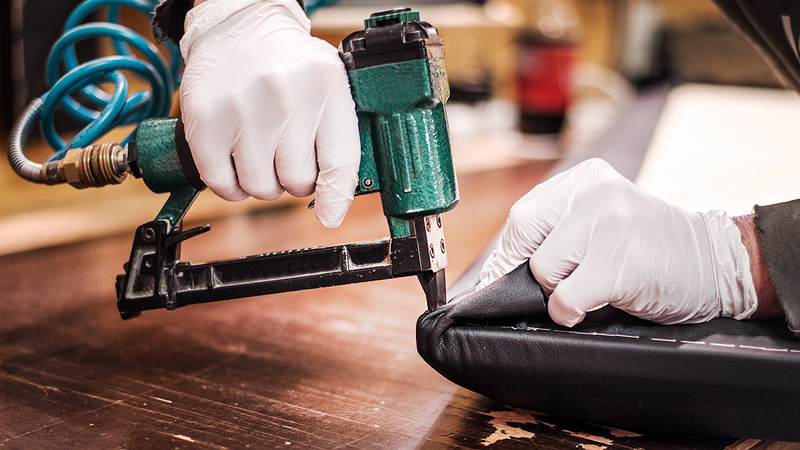 Each workout bench is made with precision handwork and tested for durability - true custom work with the label „Made in Germany“. 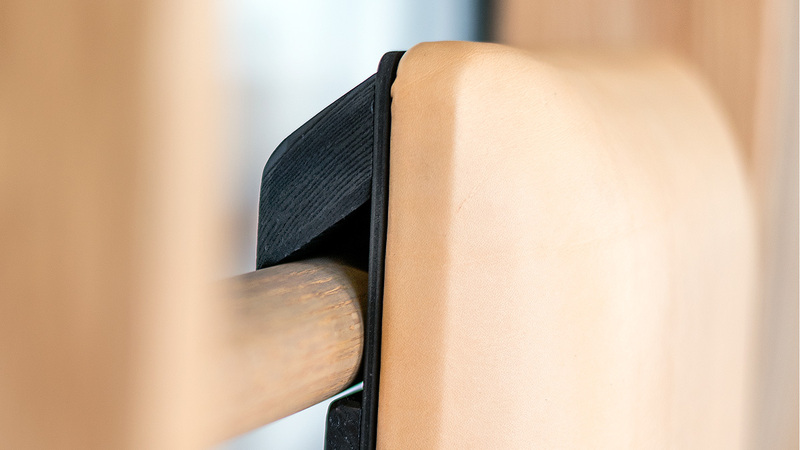 Handworked natural leather from Germany provides each workout bench with a special character; the WallBars is can be freely combined with each leather! Which materials? How sturdy? How many rungs do I need? There’s a simple principle that applies to wallbars: the higher and wider, the better. 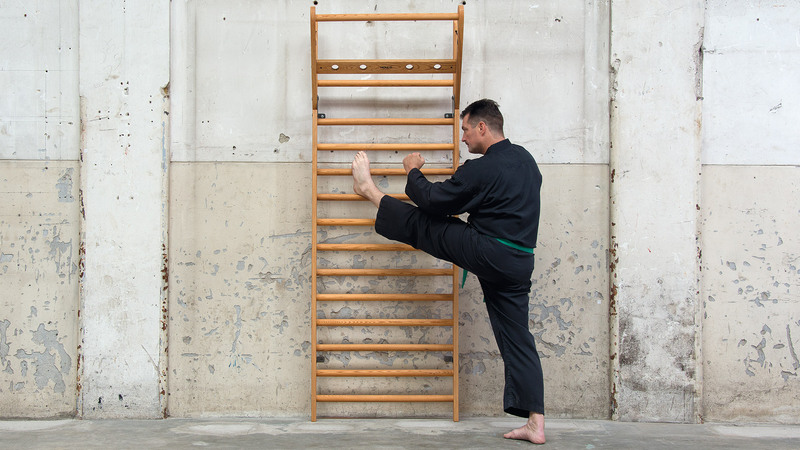 Long (wide) rungs guarantee a variety of new exercise possibilities. Wallbars, however, should not be too bulky, as space can often be limited in home fitness. NOHrD WallBars have been manufactured to sustain full weight and adhere to highest quality workmanship standards. 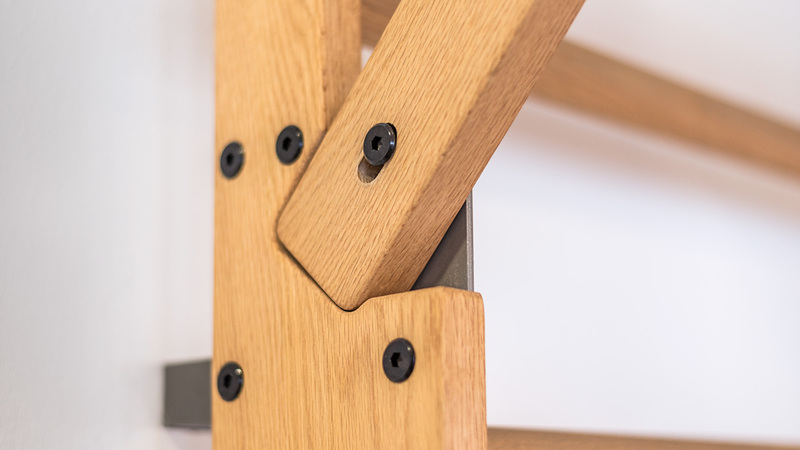 Handcrafted and easy to assemble: each rung is individually attached for the whole unit to be mounted onto the wall. Classic wallbars are made of wood while some manufacturers use metal. 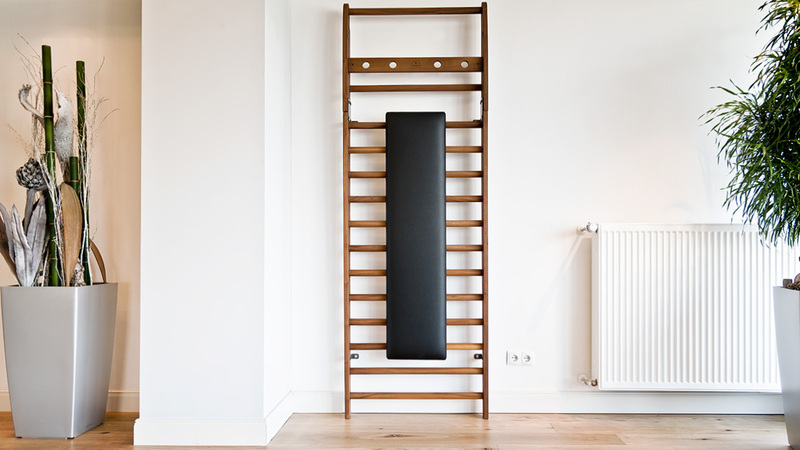 Exercise wall units are standard equipment in fitness studios, physiotherapy practices and gyms, but are now also becoming increasingly popular in private homes. 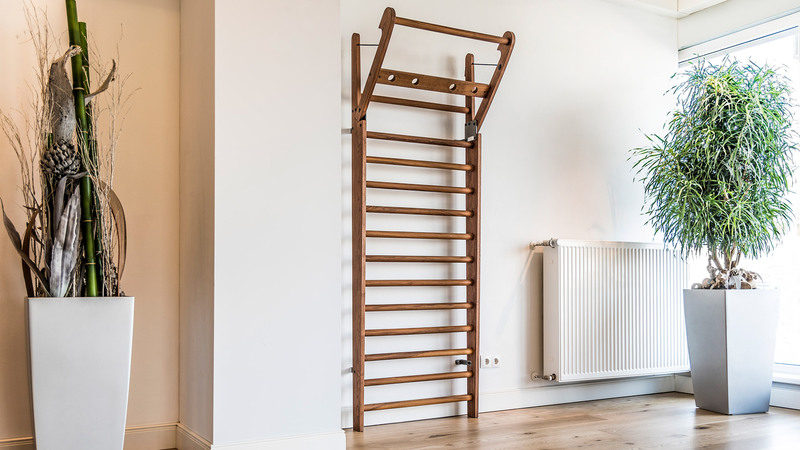 NOHrD’s wooden fitness equipment is especially suited to blend into the home interior and meet all aesthetic and functional demands. Holds up to 120 kg / 265 lbs. 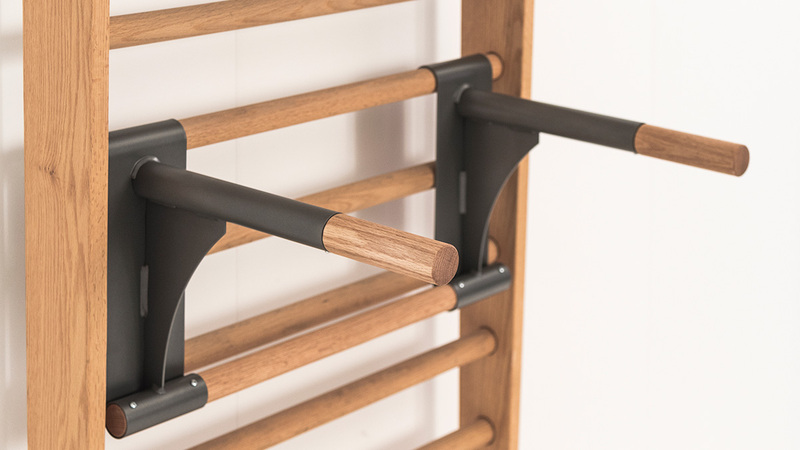 NOHrD WallBars are sturdy pieces of exercise equipment, made of high-quality wood.The rungs are made to enable a comfortable grip and the entire unit will sustain a maximum weight of up to 120kg / 265 lbs without any problem. The amount of rungs (bars) per wallbars unit will vary. NOHrD WallBars models come in 10 or 14 rungs. 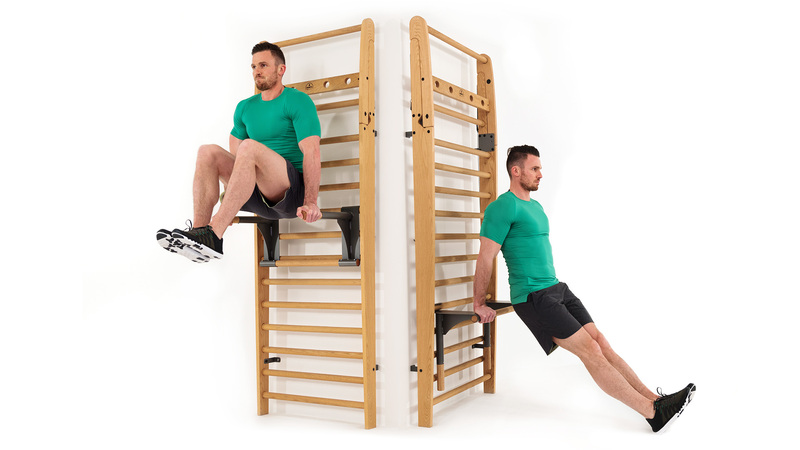 In general, we suggest the 14-rung WallBars, as the higher number of rungs provides more angles to hold on to (or fasten optional equipment to) and therefore an overall higher range of possible exercises. The WallBars rungs are round and individually screwed into the side planks to guarantee a secure grip. The distance between rungs has been determined to ensure optimal use of training space on the entire unit. Ideal for stretching, core/back training or hanging/swinging exercises. 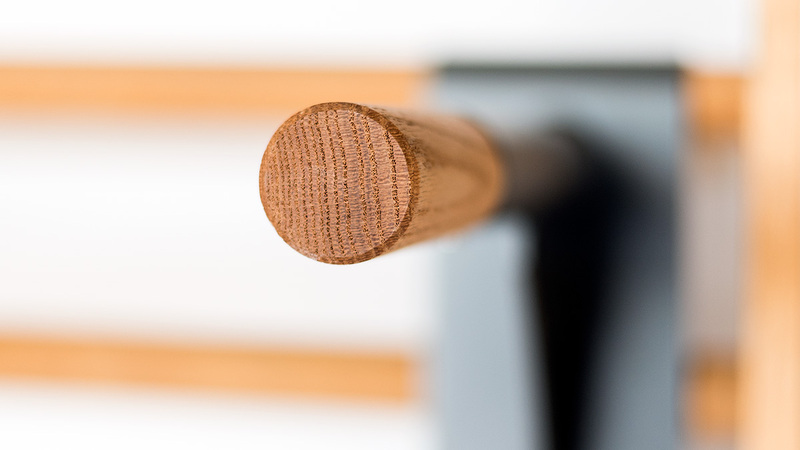 NOHrD WallBars is a multi-functional exercise unit made of fine wood. Its special feature is the foldout bar at the top. 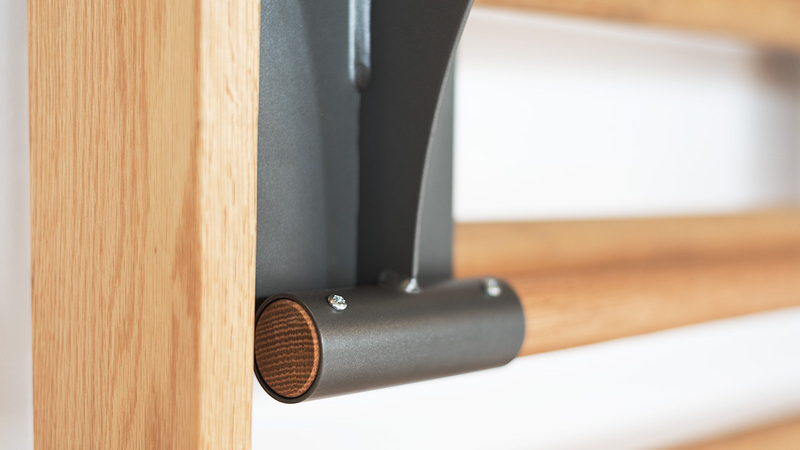 The WallBars is an elegant, sturdy and safe piece of exercise equipment. Its extensive range of exercise possibilities render it its multi-functional, all-rounder status. 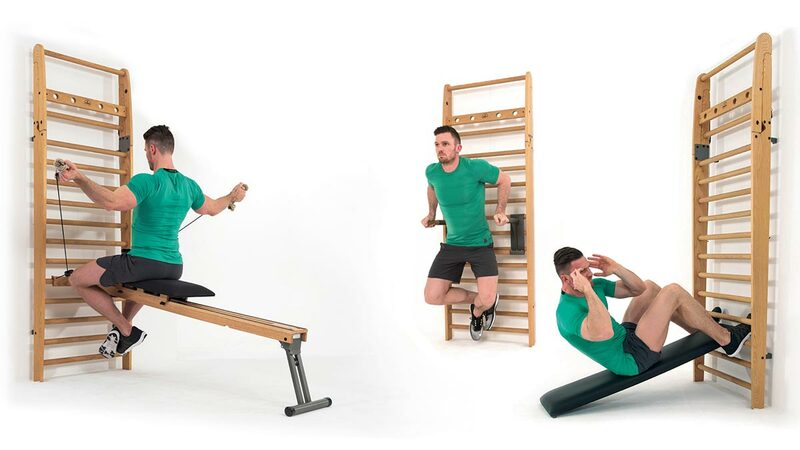 Above all, the WallBars is a functional space-saver, able to store accessories like the CombiTrainer, exercise bench and Multi-Adapter, directly onto the unit. Training on the WallBars is possible for practically all levels of fitness. Three areas of exercise are especially effective: building and increasing strength, coordination and mobility. 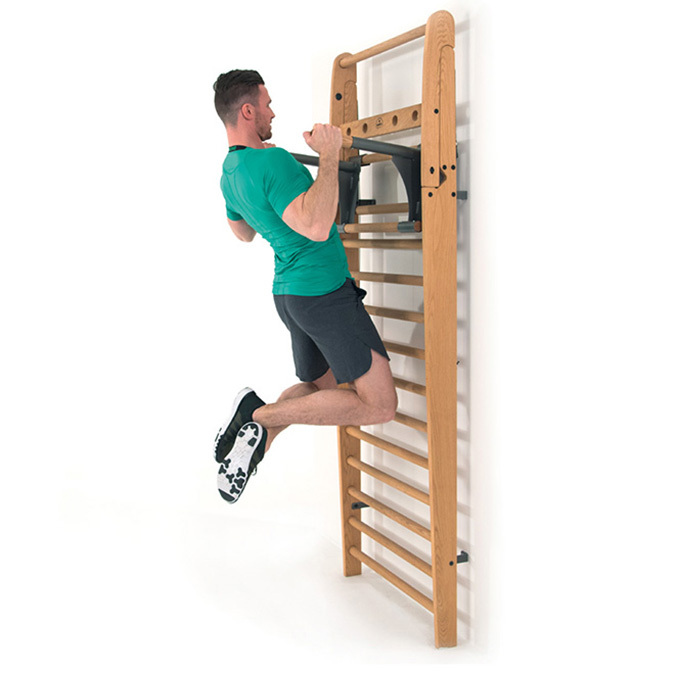 Challenge your whole body on the NOHrD WallBars and work entire muscle groups effectively on this unit. 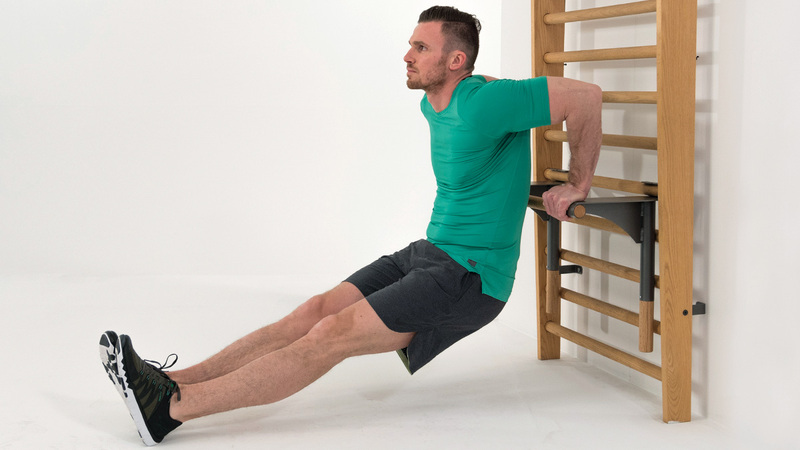 The main functions of the WallBars can be used for a wide variety of exercises - no accessories necessary- making it an optimal choice for beginner strength training. In these days of long office hours and sitting down for lengthy periods of time, regular movement and exercise are a must. Sports and fitness experts are acutely aware of this and you’ll hardly find a physiotherapist without a wallbars unit. As a stand-alone piece of equipment for building muscle and workout support - the NOHrD WallBars suits any gym, practice or home interior. Wallbars training requires concentration: focus on the necessary move and learn how to implement your body. Consistent balance and swinging exercise will further improve the athlete’s performance. 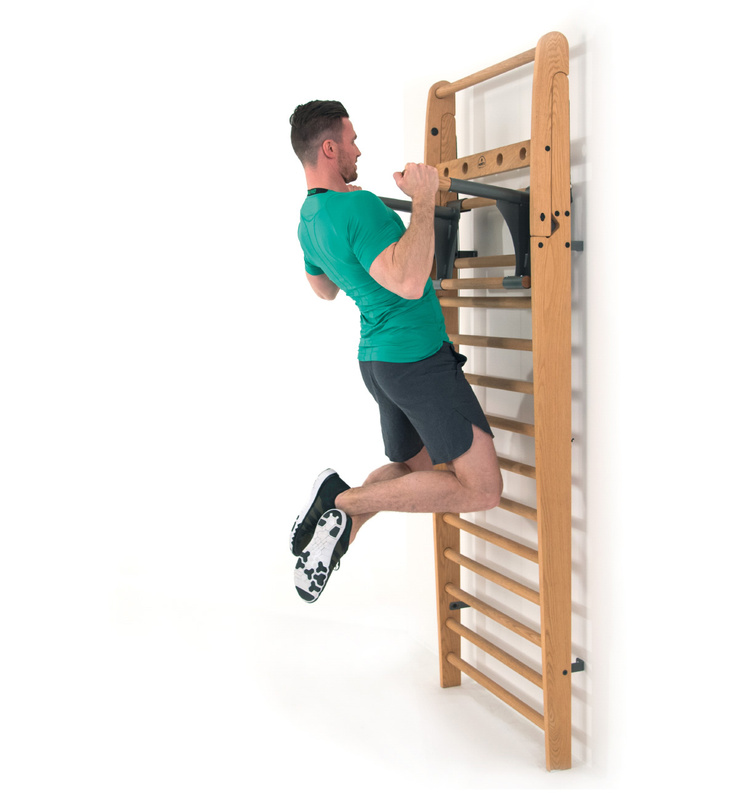 Wall bars exercise is also ideal for children to increase coordination and overall mobility. The CombiTrainer glider bench is upholstered with a special nub fabric to prevent slipping and guarantee a strong hold during your workout. A CombiTrainer workout is based on bodyweight resistance only. 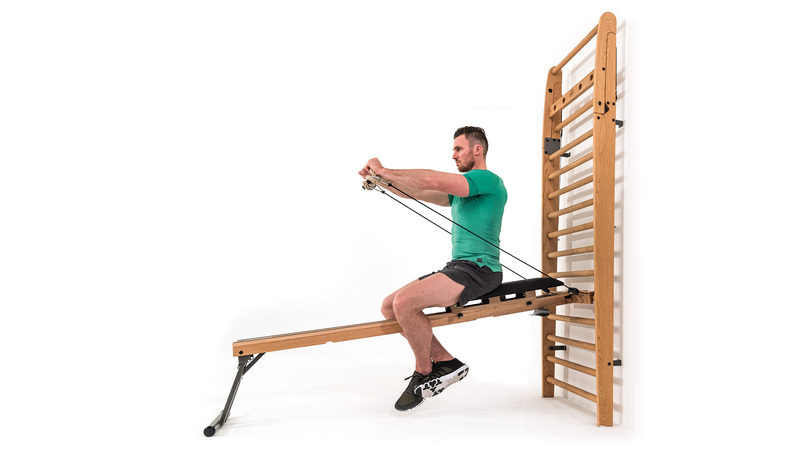 Work different muscle groups using the finely crafted mechanics of this piece of equipment: smooth cable pull and gliding, ball bearing mounted bench - challenge yourself to a wide range of exercises with no weight adjustments necessary. The CombiTrainer needs no extra storage space! Simply hang it upright into your WallBars and enjoy the added aesthetic appeal to your wallbars unit. The NOHRrD CombiTrainer will add another 35 selected exercises to your WallBars workout. See below for further details. 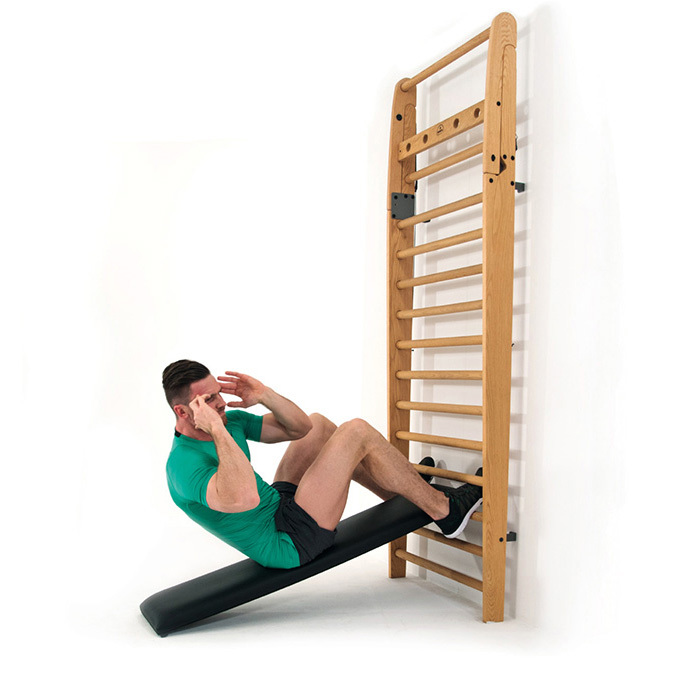 Enjoy this single WallBars addition with two support functions.The Multi-Adapter works for triceps dips or leg raise exercises to your abs. Or simply turn it upside down to expand your WallBars workout to include essential exercises, like pull-ups, crunches dips. Can be hung into WallBars rung of your choice. The Workout Bench functions as an exercise bench and back support and can be hung into the rung of your choice. 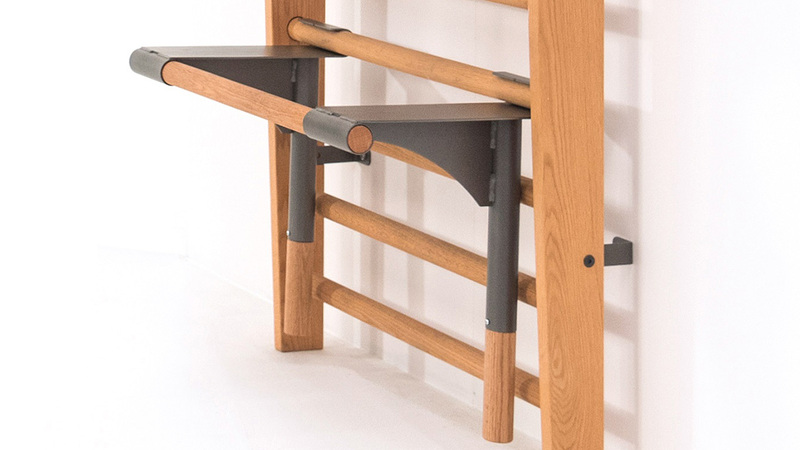 The Workout Bench can be hung directly into the rungs for storage.